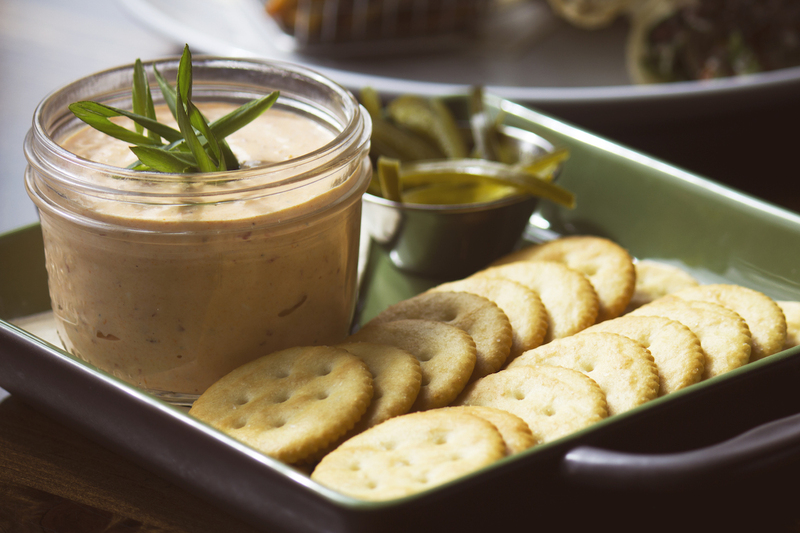 Nicknamed “the caviar of the South,” pimento cheese is a staple below the Mason-Dixon line. It’s usually made from just a few ingredients – cheddar cheese, mayonnaise, pimento peppers, onion, and a few seasonings, including cayenne pepper for a little kick. Often, it’s simply served with Ritz crackers and whatever pickles are in the larder. Here are 9 takes on the beloved Southern snack. City Tap House Dupont, Washington, D.C. 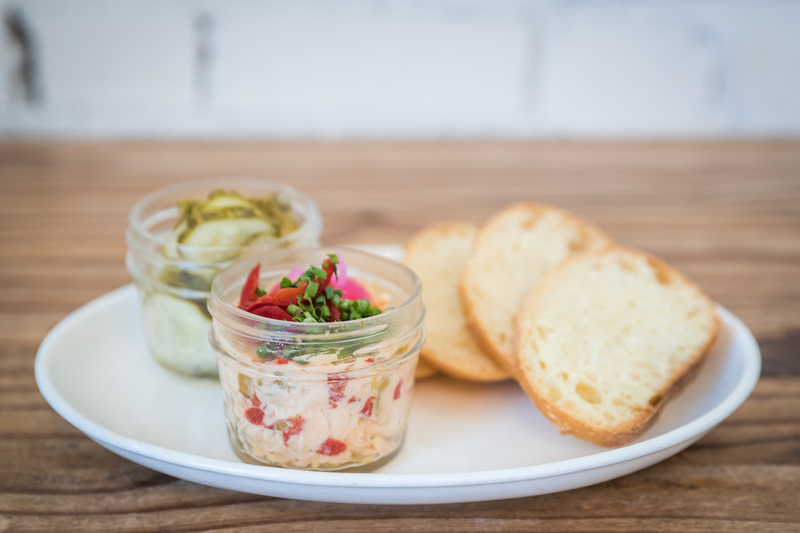 This pimento cheese is super spreadable. Slather it on the accompanying Ritz crackers and top it off with a couple of pickled jalapenos for a spicy pop. Folds of prosciutto are available for an additional charge and are worth the splurge. Make a reservation at City Tap House Dupont. You could call this the Holy Trinity of the South. 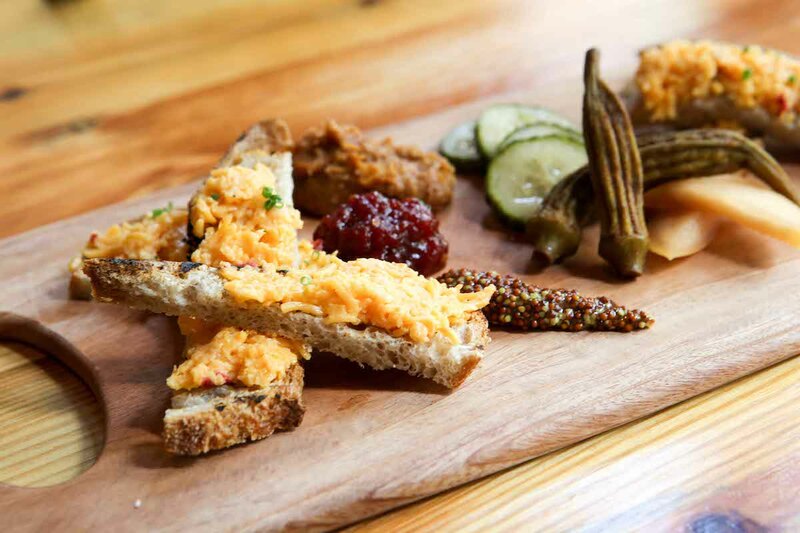 Pimento cheese is paired with toast rounds and bread and butter pickles. Hallelujah! Make a reservation at Bocado. The dish is actually called Rice, Rice Baby. 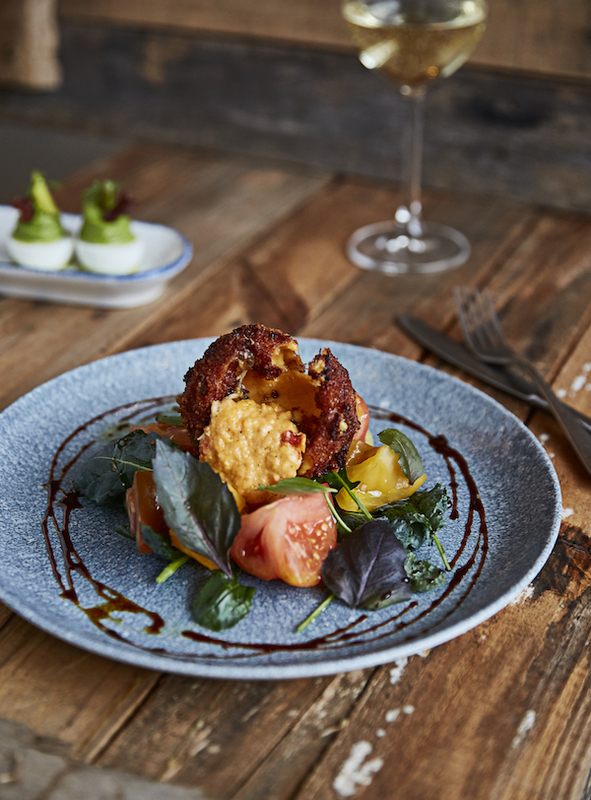 Pimento cheese packed deep-fried arancini balls come with chamoy (Mexican fruit sauce) for dipping. We’re sure Vanilla Rice would love them. Make a reservation at the Mockingbird. Meet the Mason-Dixon cheese board. Grilled sourdough comes blanketed with pimento cheese. On the side, there’s tomato jam, whole grain mustard, bacon jam, and a plethora of pickled veg. Make a reservation at 1KEPT. The South meets South of the Border. 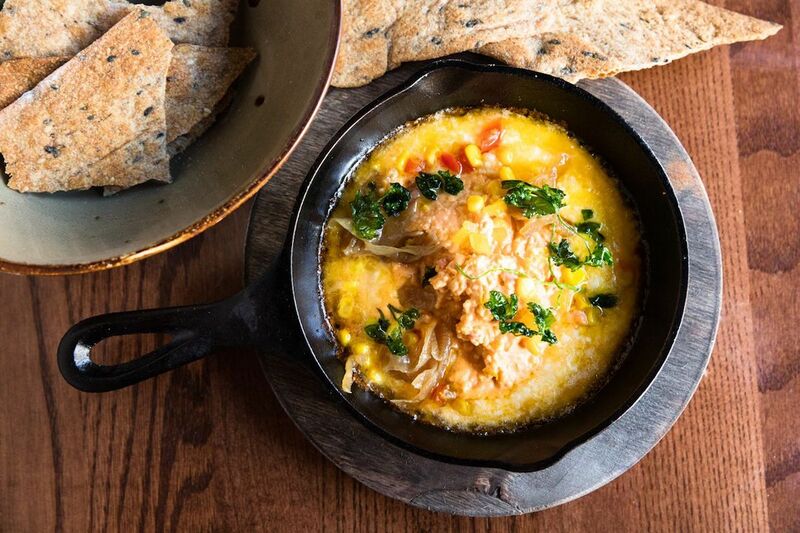 Gooey pimento cheese fundido coronated with corn relish and caramelized onions comes in a charming little cast iron pan. 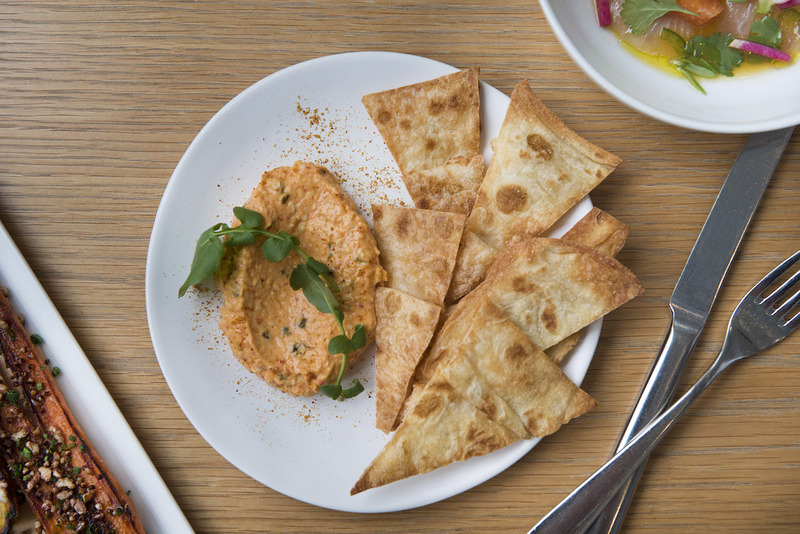 It’s served with seed crackers and grilled flatbread, so you can dunk. Make a reservation at Succotash. This pimento is forged from Jasper Hill Farm’s sharp cheddar and ricotta, which adds a fluff factor. Smoked jalapeños add pleasant punch. Triangles of crispy flatbread crackers fill out the pretty presentation. Make a reservation at Untitled. We love a good grilled cheese. This is a great one. 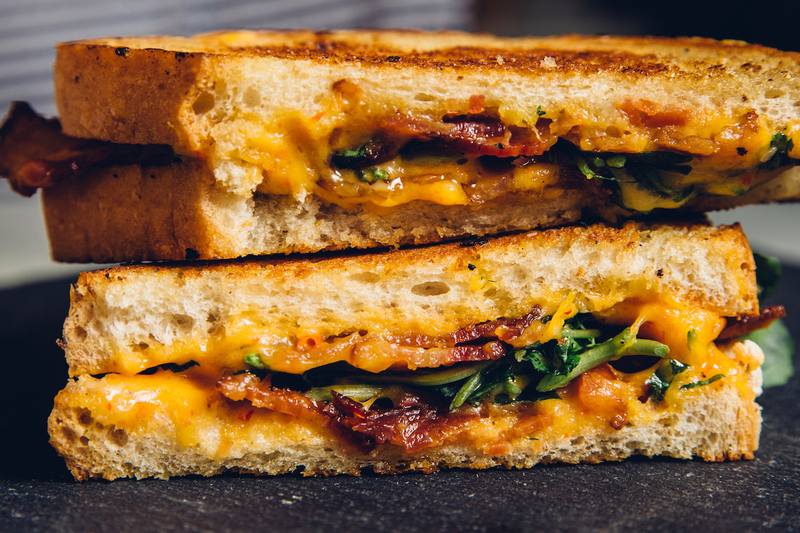 A generous swipe of pimento cheddar is complemented with applewood smoked bacon, while watercress offers a little levity. Make a reservation at Mity Nice. Pimento cheese gets coupled with house-made, Toulouse-style pork sausage. 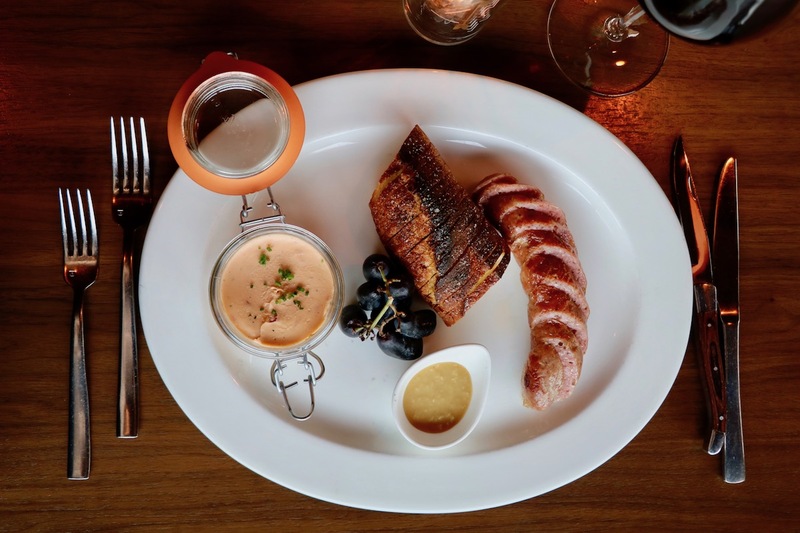 The delicious duo comes with baked baguette, grapes, and horseradish mustard. Build your bite and enjoy. 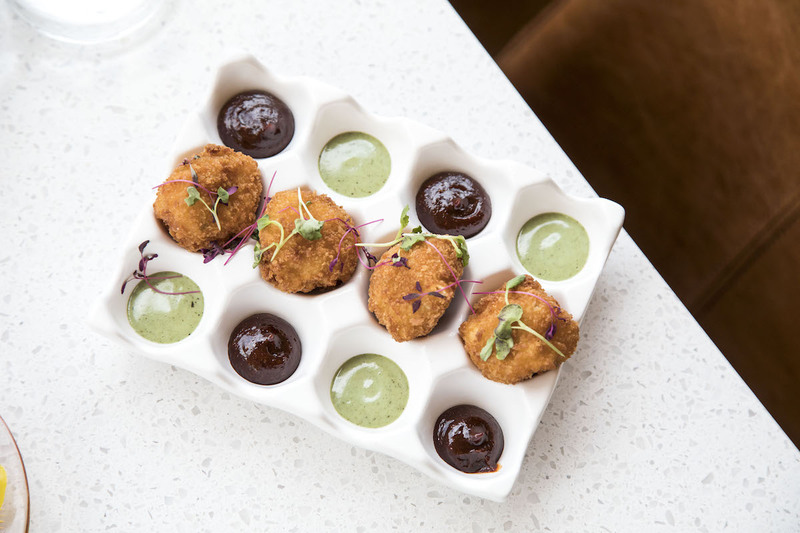 Make a reservation at the Arthur J.
Whoever invented deep fried cheese was a genius. This hefty croquette reveals a lava flow of melted pimento cheese when it’s cracked open. Pickled green tomatoes and molasses vinegar offer an acidic counterpoint to the intense richness. Make a reservation at Stiltsville Fish Bar. Who makes the best pimento cheese? Tell us where here or over on Facebook, G+, Instagram, Pinterest, or Twitter. And, remember to snap + share your #dishpics with us on Instagram for a chance to win in our weekly giveaway. Photo credits: Taylor Wallace (Bocado); Liz Clayman (untitled); Mity Nice (Anjali Pinto); Emily Hall (Mockingbird).